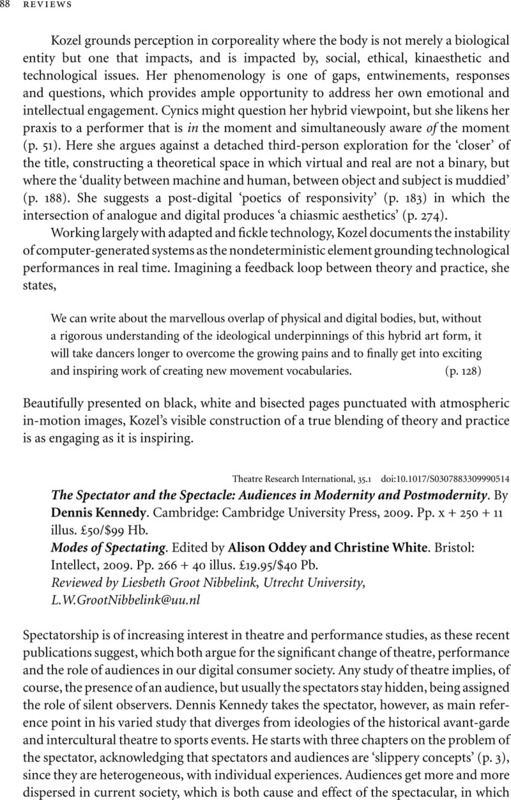 The Spectator and the Spectacle: Audiences in Modernity and Postmodernity. By Dennis Kennedy. Cambridge: Cambridge University Press, 2009. Pp. x + 250 + 11 illus. £50/$99 Hb. - Modes of Spectating. Edited by Alison Oddey and Christine White. Bristol: Intellect, 2009. Pp. 266 + 40 illus. £19.95/$40 Pb.